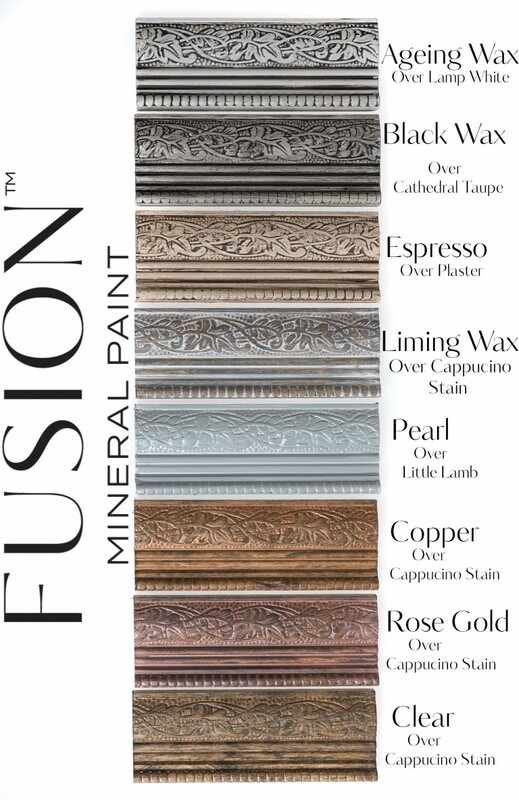 Fusion Rose Gold Wax is a fine museum quality wax based on an old family recipe. It is soft and smooth and goes on like butter! Rose Gold Wax may be applied directly over Fusion Mineral Paint or milk paint. You can also apply a coat of Clear Wax before you apply Rose Gold Wax. This will make the Rose Gold Wax a little more "workable" and it will be easier to remove the Rose Gold Wax in areas where you want less.